Current reads photo-blog images for weekly post of July 30th to August 3rd by Author Scot Fin. Ah, the complications of reading these days. Here I have the transition from the hardcover last read to the eBook next read. And Robert Galbraith, well, she(?) will have me coming back for the next Cormoran Strike novel. 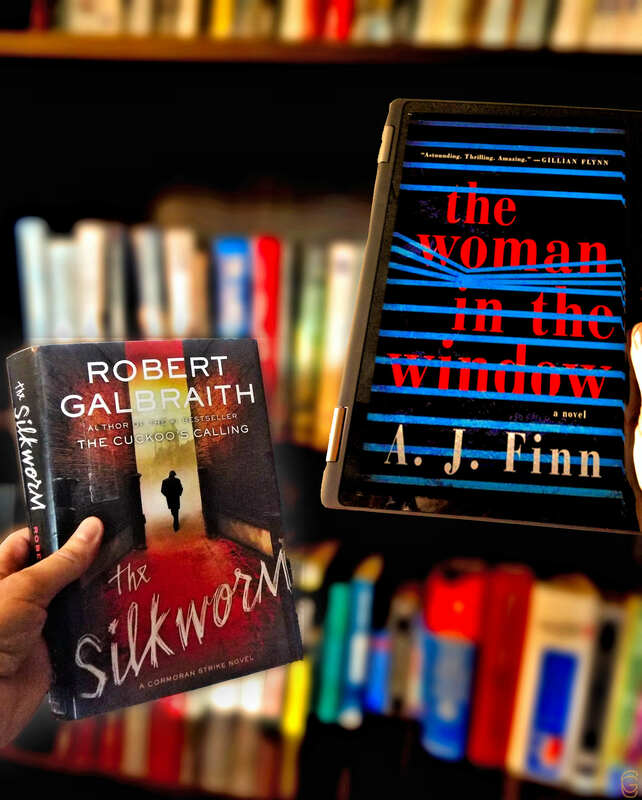 First, however, ‘The Woman in the Window’ because I’ve heard good things about it but despite the fact A. J. Finn spells his name wrong.